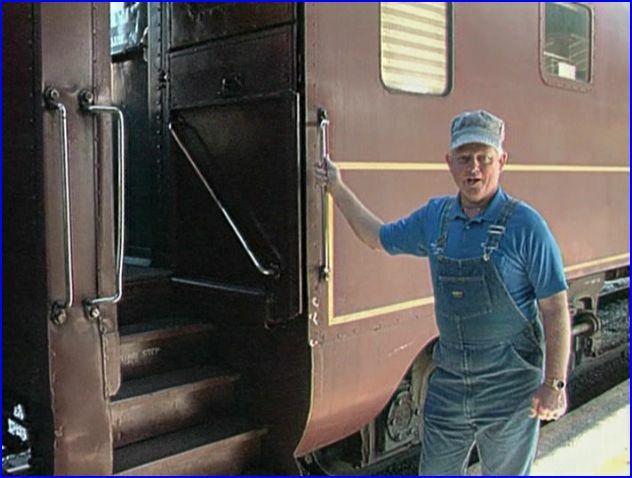 PBS All Aboard Series with Howard Goodwin. 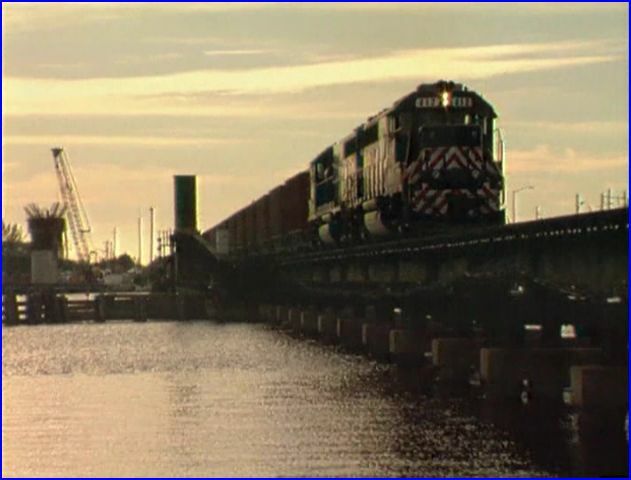 Another PBS episode, this time on the Florida East Coast. Howard Goodwin from an unknown train station.The Florida East Coast has always been an innovator in the railroad industry. Concrete ties, two man crews. and cabooseless trains were some innovations. Bob Carrera performs his usual, fine narration. Plenty of natural audio have the viewers hearing the scenes clearly. This show has a workman like vibe. Not exciting, but solid. FEC is 365 miles long, and we’ll travel the entire line. Jacksonville to Miami. A map illustrates the route. We begin our journey at Jacksonville and the CSX yard. Bowden Yard is the FEC facility and we see GP9 switching. 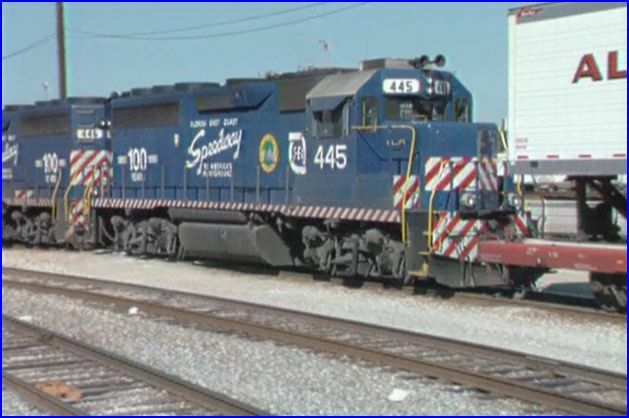 GP40-2 locomotives are numbered in the 400 series. 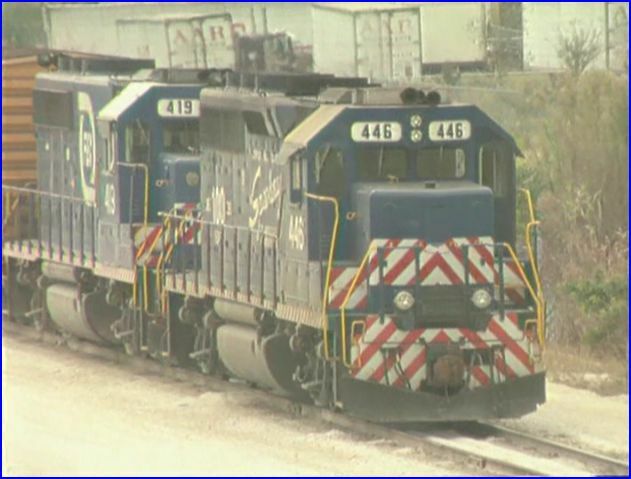 FEC has 62 total operating diesels. 100th Anniversary logos adorn the sides of some engines. 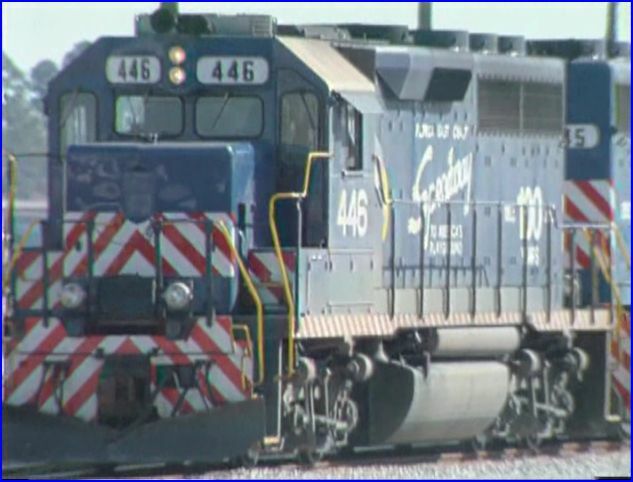 GP40-2 locomotives are the road power. Some are sporting the 100 year anniversary logo. GP39’s and SW1800’s round out the roster. Third generation CSX and Norfolk Southern trains are seen. Those Alterman trailers are a refrigerated truck line, probably carrying citrus fruit when northbound, and return with some frozen foods into the state. 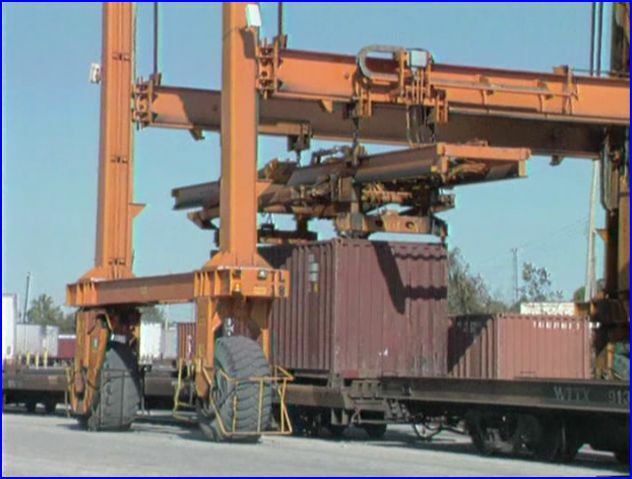 Jacksonville Intermodal Yard. Containerization has been the revolution in worldwide shipping methods. Load that box on a: truck, flatcar or an ocean going ship. Flexibility is the key. 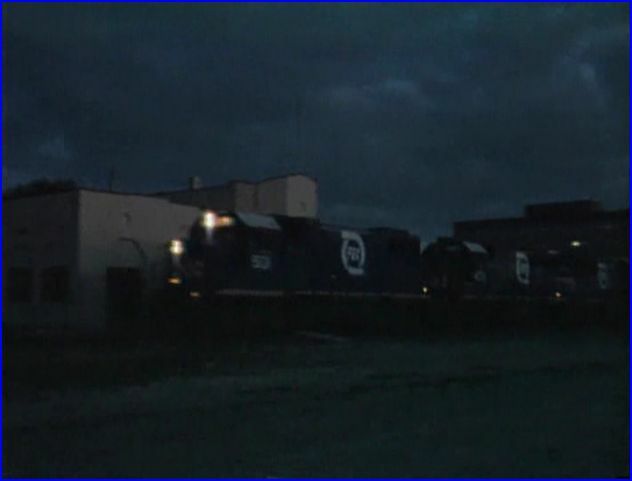 GP9 locomotives are still in service here. Enjoyable, to hear the normal aspirated, vintage EMD engine as it runs. We head southbound towards St. Augustine and the FEC headquarters. Well photographed with some interesting waterway crossings. The simple map will keep us organized on our trip. At new Smyrna Beach, the heavy maintenance facilities include an upward view of the locomotives undercarriage, as viewed from a service pit. A shop tour visit there. 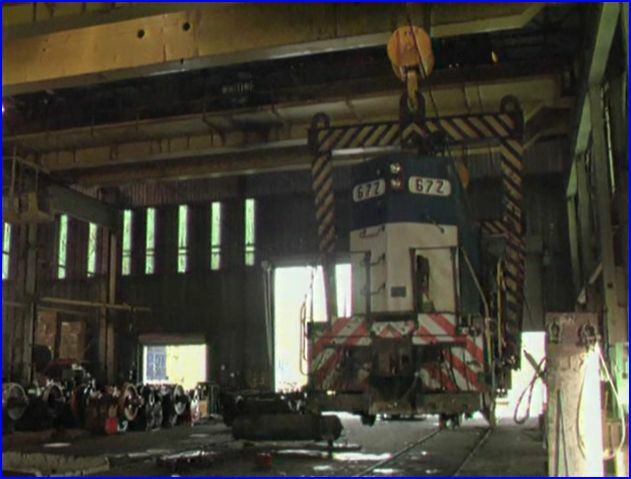 Best moment is a GP9 lifted on the overhead crane system and transferred to another track. It’s much easier to accomplish this feat in HO scale! The spartan, modern Hialeah Yard is at Miami. This facility demonstrates the economical, efficient thinking of this railroad. Howard is back and doesn’t disclose his location. He’ll be back with another episode. This is a good look at a railroad that gets little attention. Nothing fancy on this line. Even Howard doesn’t get excited. Cabooseless trains and concrete ties won’t stir a railfan’s blood. The smooth, professional production is the best part of this program. Watch the show, and you’ll realize why the FEC doesn’t get much attention. This small railroad innovates, that’s true in many industries. It just doesn’t have much in the way of interesting online industry. Florida East Coast is a good way to see this railroad at work. This entry was posted in ATVR Reviews, Green Frog Prod. 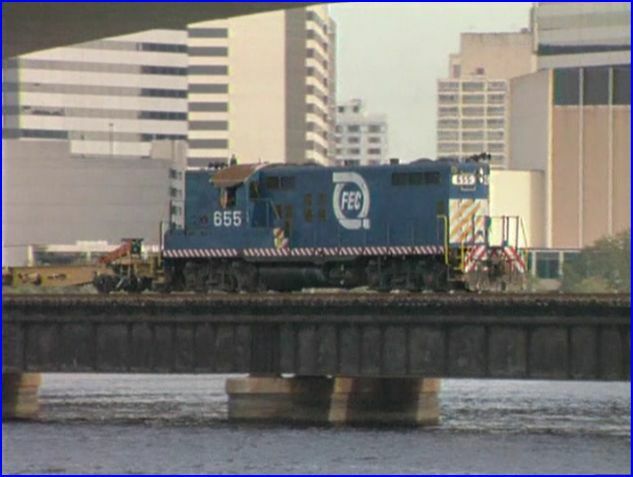 and tagged American Train Video Reviews, PBS style, Railroad, Train DVD, transportation by William J. Hudson. Bookmark the permalink.